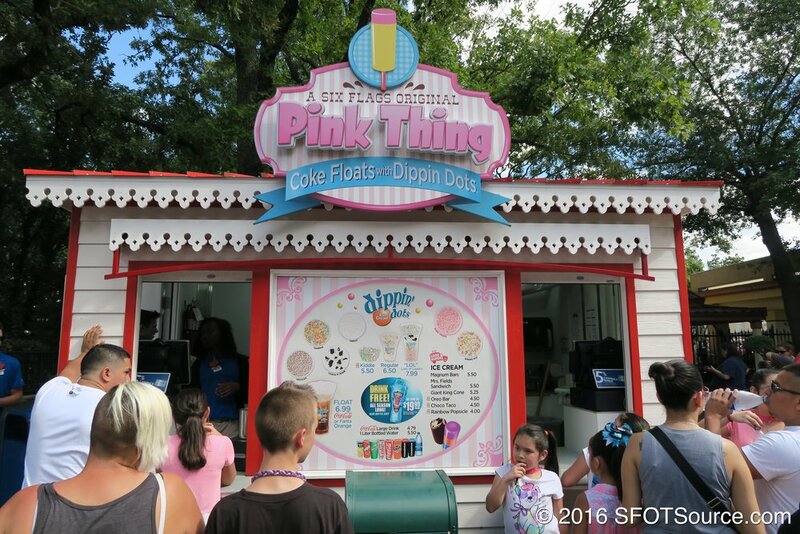 Pink Things is located in the USA section near the main entrance to the park. The small outdoor stand does not have a designated seating area. Some outdoor seating can be found nearby at Flags Funnel Cakes.